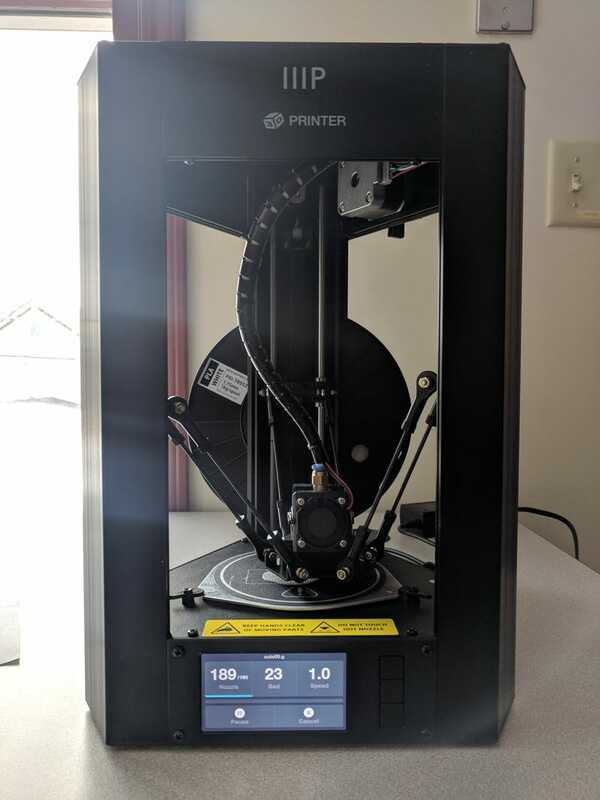 Cheap 3d printer from monoprice. No idea what it’s printing right now comes with a preloaded gcode file. Hopefully my pic isn’t kinjad. Update: kinja will not insert the cat pic but bigblock440 was correct.